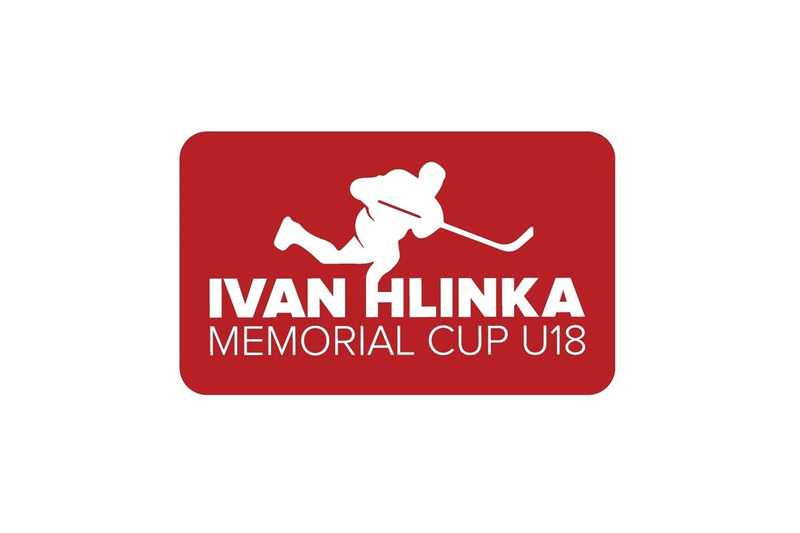 First at 15:30 CET/ 9:30am ET, four teams will finish their tournament and determine places 5th to 8th in the 2017 Ivan Hlinka Memorial Cup. Following that at 19:00 CET/ 1:00pm ET will be the two semi-finals, which both look to be fantastic hockey games, and will determine which teams play in tomorrow’s final and which play in the game for 3rd and 4th places. These are probably the two most disappointed teams of the tournament, as both definitely had their sights on a medal at the start and both lost their last group game on Wednesday to keep them from the semi-finals. Now, they’ll both try to finish their tournament on a winning note and claim 5th place overall. This is the third year in a row that these two teams are meeting for the game to stay out of the tournament cellar. In 2015, Switzerland came from behind and won in a shootout, and last year, Slovakia won 6-3. Now, both will try to end their tournament with something they didn’t manage to get in the group stage - a win. “We want to win the last game of the tournament. That would lessen the pain of the previous losses a little,” said Slovak coach Norbert Javorčík. One of hockey’s classic rivalries will determine one finalist in the tournament. Of course, the Czechs are the defending champs and will have a boisterous home crowd behind them, as the atmosphere in Břeclav promises to be electric. The Czechs will hope they can continue to get goals from Jan Jeník and solid goaltending from Lukáš Dostál. However, the Russians have looked very good so far in the tournament, starting with tournament scoring leader Dmitri Zavgorodny all the way to goalie Amir Miftakhov, who has been brilliant in his two starts. “We’ll have a video session of Russia playing in Bratislava, but we know it’ll be a really hard game and that we’ll have to be aggressive at both ends of the ice,” Dostál said, looking ahead. Two more of hockey’s traditional giants meet in the other semi-final. 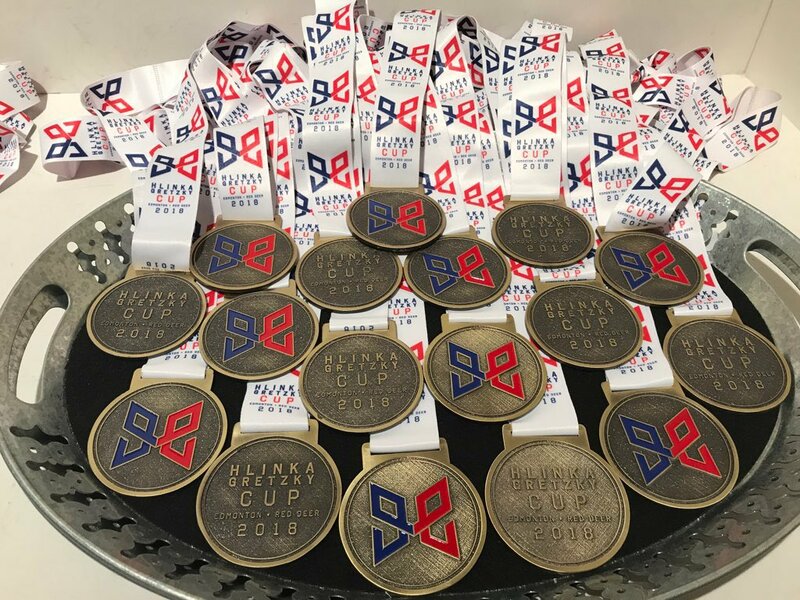 After their eight-year reign as Hlinka Cup champions came to an end last year, the Canadians started with a shootout loss to Russia but have gotten stronger as the tournament has progressed. The Swedes, on the other hand, have been solid from the get-go, led by defenceman Adam Boqvist. 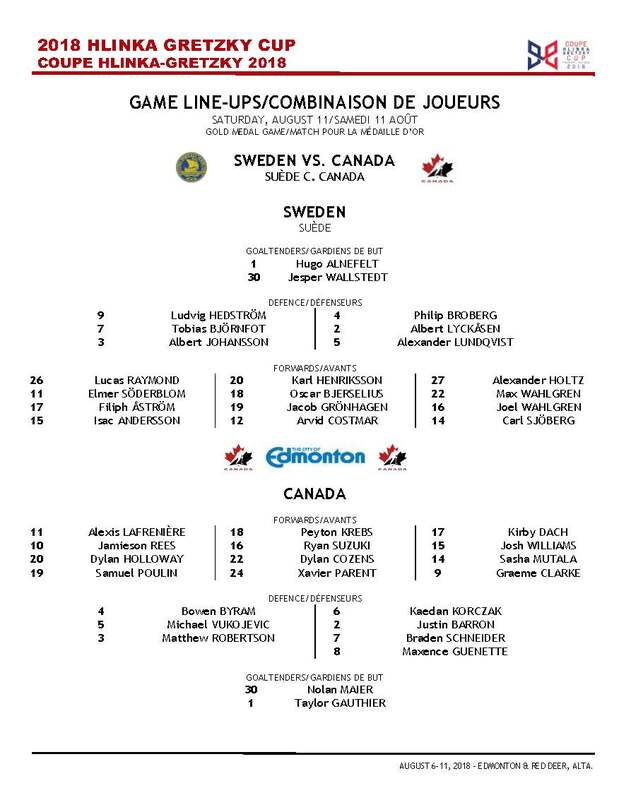 In the 2000 age category, the Swedes have shown themselves to be the team to beat in the world of hockey in previous seasons, and their play at this tournament so far seems to support that.